The Half-life Of Songs, David's latest collection of short stories, came out in January 2011 on Salt Publishing and has been dubbed “fiction for the iPad generation”. Over twice the size of his previous collections, there are 55 stories; some born from the 23 Stops To Hull project for Humber Mouth Literature Festival, some from the Lancaster Litfest commission Buildings Crying Out. 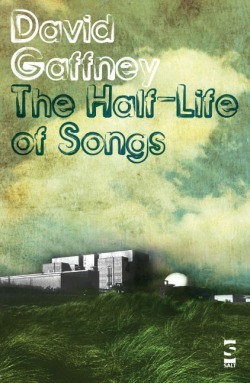 The Half-life Of Songs was longlisted for the Edgehill Short Story Prize. Click here to read more reviews of The Half-life Of Songs.